And all the country of Judea and all Jerusalem were . 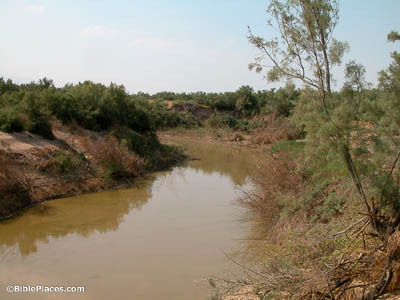 . . baptized by him in the Jordan River (Mark 1:5). The Jordan River is in poor shape today, having been reduced to a muddy trickle by water usage upstream. But in Jesus’s day the flow would have been deep and quick, so much so that ferry boats were often needed to ford it. It was possibly at one such crossing point that John did his baptizing. And immediately the Spirit drove Him out into the wilderness (Mark 1:12). Throughout the centuries, the Judean wilderness has remained a lonely place. The difficulty of traversing it, due to the lack of water and poverty of natural routes, has left it largely uninhabited. As a result, it’s the perfect place for someone looking to retreat from the world. 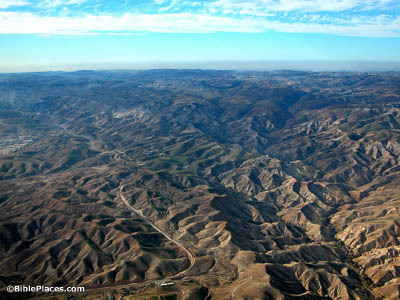 It was in this region that John preached, and it seems likely that this was the place of Jesus’s temptation. He saw Simon and Andrew the brother of Simon casting a net into the sea (Mark 1:16). The technique used by Simon and Andrew is demonstrated in this photo from the early 1900s. 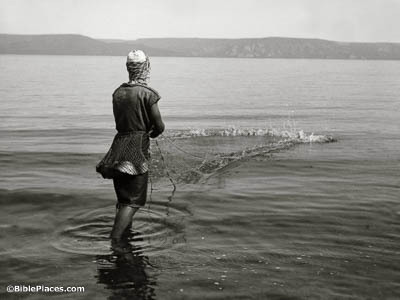 Taking a net with lead weights on the fringe, the fisherman throws it in a ring shape onto the water. As it sinks, it traps any fish underneath it. The fisherman then has to dive to retrieve the net, along with any fish he caught, meaning that the brothers probably didn’t look (or smell) too glamorous when Jesus called them. They went into Capernaum. And immediately on the Sabbath He entered the synagogue and began to teach (Matthew 1:21). 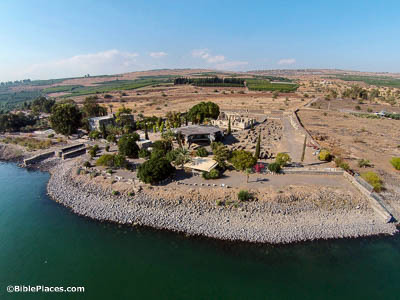 There are several possible reasons why Jesus chose Capernaum as the base of his ministry. It was close to several busy traveling routes, allowing them to reach many people. Also, several of his disciples already lived there, making it a convenient choice. And perhaps most importantly, the people of Capernaum were more receptive to his message than those in his previous home of Nazareth, who rejected him outright. At evening, when the sun set, they brought to Him all who were sick (Mark 1:32). 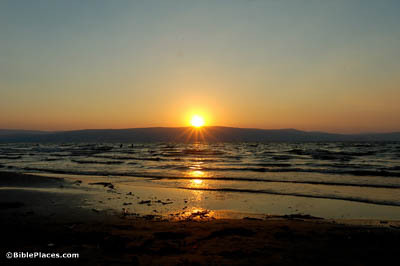 The Sabbath begins on Friday night and ends the following night, just after sunset. During that time the sick would have been unable to travel, due to the strict traditions that had built up around the biblical requirements. Instead, they came at the first possible moment after the Sabbath passed and the restrictions lifted. 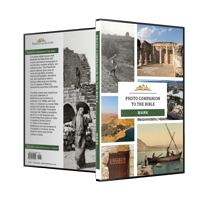 And He went throughout all Galilee, preaching in their synagogues (Mark 1:39). Most of the ancient synagogues that have been discovered in Israel are dated to after Jesus’s time. This one in Gamla, however, is a rare exception. 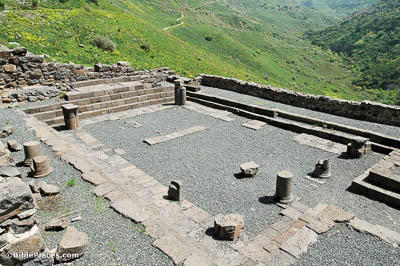 It was active in the first half of the 1st century, so while the Gospels never mention Gamla by name, it’s entirely possible that Jesus spoke in this specific synagogue during one of his tours.